On Friday, the Department of Justice publicly released a legal opinion that offered clarification on the Interstate Wire Act of 1961 — a federal law that has complicated efforts to legalize Internet poker. The 13-page document dated Sept. 20, 2011, says the correct interpretation is that the law only prohibits sports betting. The Wire Act was once interpreted as outlawing all forms of gambling across state lines, and was used by the DOJ in its prosecution of the operators of online poker sites. One of the causalities of the Wire Act was Anurag Dikshit, co-founder of then PartyGaming, who reached a $300 settlement with the DOJ in 2008 for violating its provisions. The Internet gaming company subsequently left the U.S. market, but is now eying a return via a partnership with Las Vegas-based MGM Resorts. Despite Nevada making substantial progress toward intrastate online poker, the memo was in response to New York and Illinois seeking to use the Internet for lottery sales. In fact, there is no mention of poker in the opinion from Assistant Attorney General Virginia Seitz. Nonetheless, Anthony Cabot, attorney for Fertitta Interactive, said that the “significant decision” gives states the right to legalize a wide range of games for the Internet, without violating the Wire Act. “It clears a legal point that has been out there for a long time, as to whether or not states can go forward and legalize games of chance or poker, within their own borders,” he said. According to Cabot, since web poker is legal in Nevada and will occur intrastate, it’s completely legal under the Unlawful Internet Gaming Enforcement Act — a 2006 federal law banning financial transactions for gaming activities that are deemed illegal. If poker on the web is legal in a given state, the UIGEA, which was a tool in charging the offshore operators in poker’s Black Friday, would not be implicated. When asked if this all gives Nevada brick-and-mortar casinos the ability to eventually operate interstate, Cabot cautiously said it does. Ellen Whittemore, attorney for Nevada web poker applicant International Game Technology, said that the legal opinion “cracks open the door” for the interstate offering of poker. Gaming consultant and professor I. Nelson Rose told Card Player that the DOJ’s new position could conceivably lead to U.S.-based online poker operators having their rooms open to an international player pool. 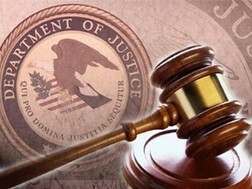 The American Gaming Association, which has been behind federal web poker legislation and not a state-by-state patchwork, responded to the announcement from the DOJ, saying it “validates the urgent need” for Congress to act. The AGA declined to comment at this time on whether interstate online poker could now happen without a federal measure. Cabot sees the opinion on the Wire Act increasing the pressure to get a federal bill done. “I think it makes it more likely. Now the federal government will have to act relatively quickly if they want a federal regime to regulate online poker,” he said. Cabot said that there could be a push on both sides of the political aisle for Internet poker. He said that Senator John Kyl (R-Ariz.), a historically staunch opponent to gaming in cyberspace, could now get behind poker in order to curtail the Internet having games of chance. As for a jurisdiction with Internet gaming on the horizon, both Cabot and Whittemore don’t see Nevada speeding up the implementation of online poker as a result of the DOJ’s new position. “Nevada is going as fast as it possible can already,” Cabot said. Whittemore said that Nevada already has “an aggressive position” on Internet gaming, and that regulators already knew what the DOJ stance was going to be. Card Player reached out to Mark Lipparelli, chairman of the Nevada Gaming Control Board, but he declined to comment at this time. More corrupt than 100 FTPs could ever be. I hope there is a hell so John Kyl can spin on a spit for eternity. this is great news and all but will it be regulated on a national level and will PokerStars be allowed to comeback. Probably not since they are also charged with money laundering but why would you want them to come back anyway. I am sure that the major casinos like MGM, Harrahs, and Sands will be just as good if not better than PS or FTP! FTP didn't have the money Pokerstars paid everybody back. I say i want Pokerstars back besides the SCOOP WCOOP are the biggest online tournaments out there. As much as the brick and mortar casinos might come in i actually do care about software where i think they will be lacking. Pokerstars, FTP and any other online site that operated after the regulation was passed will never be back. Thats why Party Poker (a public company in the UK) shutdown. They were thinking long term. The states and gov will never give licenses to this other sites. Plus the big casinos (who are lobbying hard for this) will make sure that they have the inside track. Harrahs,MGM..etc basically got the Gov to go in and shutdown their competitors and now will set up shop on their remains. Pokestars may have refunded player balances but that wont matter. I'd love to have PokerStars come back. I never had a problem with them, and their customer service was fantastic. Sure, I'm interested to see what MGM, Harrahs, and the like will offer, but I already know that I love PokerStars. Also, regarding the money laundering charges, I have always thought that was just a bunch of crap being thrown against the wall to see what would stick. If online gaming is deemed legal, then the money laundering nonsense ought to go away as well. This is why poker players need to vote Democrat. Bush comes in and we get the UIGEA. Obama comes in and we get this. Big difference...one party wants to create a moral police state, the other doesn't. And no, Ron Paul doesn't count because he will never be the Republican nominee and his views are far outside the Republican mainstream. Eric Holder(Obamas DOJ wonderkid) enforced it but nice try. Vote Democrat? What on earth would we vote with a party who wants to tax every single thing they can? Yes, the Republicans had some douchebag stick the UIGEA in legislation meant for something else, but that ship has sailed. He'll get his spit in hell, as someone so eloquently stated. Tax fairly and spend less. Fairness for Democrats means taking money and using it to buy votes and keep people on the government teat. This is why we have so many people unable to care for themselves and have no desire to get off a social program meant to "care" for them. All it does is hobble them. I don't care how you vote, but don't tell me how to vote based on some idiotic theory you have that the Democrats have some love for Poker players. All they love is their socialism and their taxes. Hypocrites and douchebags, most every one of them in political office, on all sides of the political spectrum. Spare me. You are clueless! This decision rendered back in September? Am I reading that correctly? Why so long to become public? Hope Las Vegas gets the deal because PS and FTP systems felt hacked or worse. If Vegas gets in they can and hopefully, will be regulated thereby ending the suspicions floating around offshore sites. One of the sites that get up and running in US. will have some kind of tie in with Pokerstars so they can take advantage of it's popularity. As far as FT is concerned if some US site thinks there is any chance of taking over the brand cheaply and using it's platform to draw people who like it they will figure out away. Because what I have read on sites even people who were bilked out of their money by FT still like the setup and the people who were affiliated with it will not be allowed to take part in running it again. Money talks BS walks ask any politician. Wonderful news. Hopefully as the online markets begin returning , sponsors of U.S geared OTA televised poker programs will return also.